Back by popular demand special guest, Dr. Larry Emdur, M.D.! Dr. Larry and the Kanes will discuss how new breakthroughs in vitamins, herbs and supplements combined with Instantaneous Transformation are an unbeatable combination. Dr. Emdur has received Advanced Training from the Academy of Anti-Aging Medicine as a Internist/Pulmonologist and recognized by his peers as a Diplomate in the American College of Chest Physicians since 1996. He did his medicine and pulmonary training at the Cleveland Clinic (1979-1984) and has practiced both hospital based and office based pulmonary medicine in San Diego since 1984. 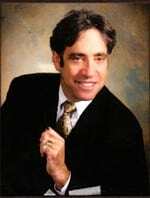 He holds a PhD in microbiology from the University of Pittsburgh (1975) an MBA from California State University (1998) and has received Advanced Training from the Academy of Anti-Aging Medicine. Visit www.drlarryemdur.com to learn more about Dr. Larry's work.